The 11th November 2018 marked the conclusion of events remembering the centenary of the First World War. During the last four years remembrance of that conflict has, along with the 1916 Rising, dominated Irish historical discourse and memorial culture. 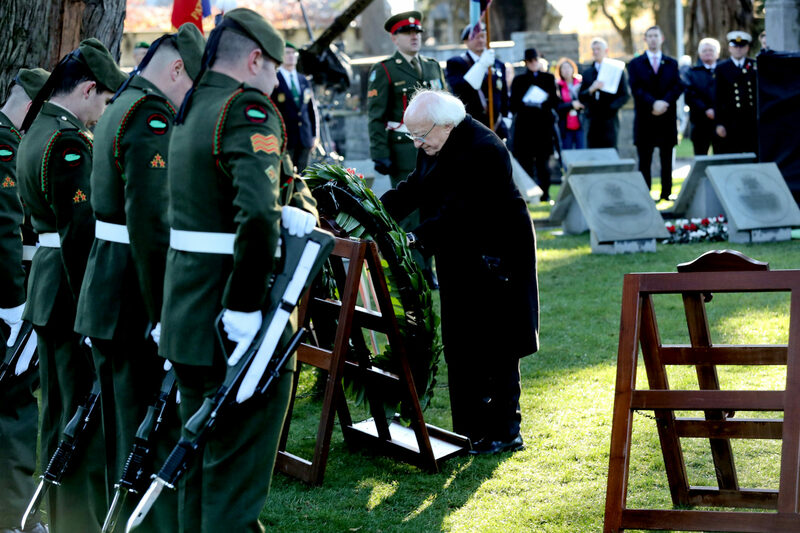 A central theme of Ireland’s remembrance has been the view–deeply held by many–that the story of the Irish in the war had been “forgotten”, “airbrushed from history” and “written out of the history books”. A plethora of commemorative initiatives over the last four years have sought to rectify this perceived historical neglect, ostensibly driven by a desire to create a more complete, inclusive and comprehensive memory of our past. The sincerity of such efforts are undoubted. However, other factors also contributed to the extraordinary outpouring of commemoration in Ireland between 2014 and 2018. Remembrance is about choices–who a society chooses to remember, and who it chooses to forget (or, to put it another way, chooses to “not remember”). That selection process reveals as much, and usually more, about the society doing the remembering than about those being remembered. Using the centenary commemorations as a comparative foil, I wanted to share with readers some of my early thoughts and questions on the drivers of remembrance in modern-day Ireland. It will come as little surprise that I consider the most useful, thought-provoking and revealing way to do so is by looking at the Irish people’s other Great modern War, the one that there can be little doubt has been truly “forgotten”. In 1950, almost thirty-two years after the conclusion of the First World War, the last Irishman who claimed to have served in the American Civil War died. Today, at least three grandchildren of American Civil War veterans can be found in Ireland. The conflict, which concluded 49 years before the assassination of Archduke Ferdinand, saw at least 200,000 Irish-born men serve in uniform (recent analysis suggests these figures may be too low). As many as 50,000 more children of Irish emigrants, most of whom considered themselves ethnically Irish, also fought. The great bulk were engaged in preserving the Union. We will never know how many died, but if they follow the standard ratios given for Union and Confederate dead, it is likely to run to at least c. 35,000 Irish-born. By any measure, from an all-island perspective, this is a conflict comparable in scale to the Irish experience of the First World War. There is a distinct possibility that the Civil War represents the largest military experience of Catholic Irishmen in modern Irish history. There is also a distinct possibility that the Civil War represents the largest modern military experience and loss of life for the landmass that currently makes up the Republic of Ireland. There is a probability that for Irish counties which witnessed the heaviest outflow of emigration in the 1840s and 1850s, the American Civil War caused their largest loss of life in modern conflict. We will never know with any certainty whether the First World War or American Civil War saw more Irishmen in uniform, or in which more perished. In any event, such knowledge is immaterial. Remembrance is not a competition to be measured in the piles of dead. What is demonstrable is that they are clearly comparative in the Irish experience, and so exploring how we choose to remember them is an instructive exercise. Below are just some of the ways in which I think we might profitably do so in the future, together with some wider questions I think such exploration prompts. The insertion of the word “forgotten” into headlines relating to history/archaeology/heritage topics has grown clichéd (I say this having authored a book entitled The Forgotten Irish, and as a person who makes regular use of #ForgottenIrish on Twitter–because I believe its usage is appropriate in the context in which I employ it). 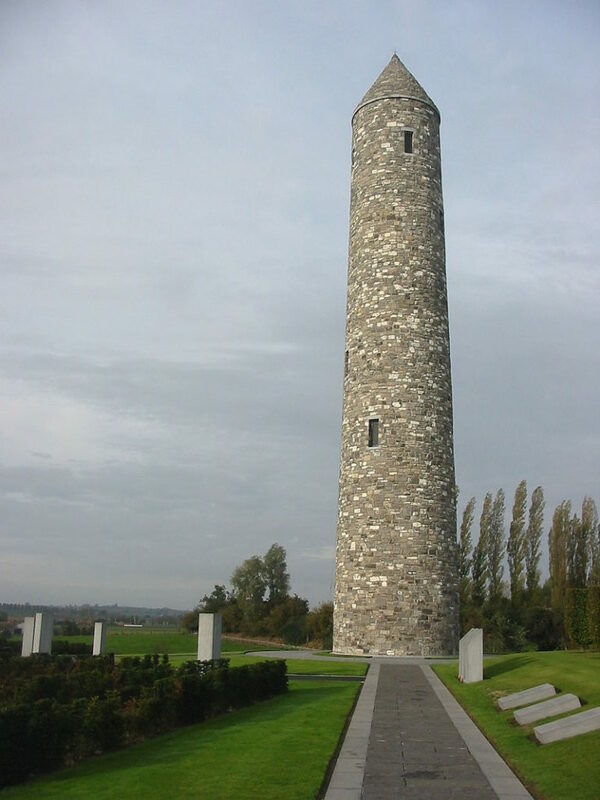 Over recent years it has become most synonymous with the Irish experience of the First World War (e.g. here, here, and a counterpoint here). The degree to which the term “forgotten” can be applied to the First World War Irish is a matter of considerable debate. Though one could argue that the topic may have been neglected through certain periods of Irish history, such a contention is difficult to square within the wider-landscape of research, commemoration and interpretation that long preceded the commencement of the centenary. The two decades prior to 2014 witnessed an increased outpouring of books and academic investigation (e.g. see here, here, here, here), the dedication of the Island of Ireland Peace Park by the President of Ireland, visits by the President to sites such as Gallipoli, a permanent exhibition on the conflict in National Museum of Ireland and the refounding of the Royal Dublin Fusiliers Association, to name but a few. While compelling arguments can be made as to whether this was enough, it is difficult to characterise it as “forgotten”. Nonetheless, the “re-remembering” of the First World War Irish has been a major theme of the commemorations, largely set against a background of a systematic attempt by the Irish state to sideline this memory. 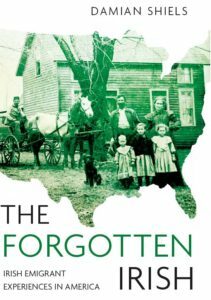 It is interesting to consider this issue with respect to memory of the Irish in the American Civil War, which offers a wildly different perspective on what we might qualify as “forgotten”. Prior to the 150th anniversary of that conflict (2011-2015), the Irish State had never held an event relating to Irish participation, there was no major academic research on the subject within Ireland, and there was no burgeoning development of public interest (the conflict did feature in the National Museum, and was the topic of an Irish-published book). Such comparisons raise a range of questions for us to consider. Along with debating whether or not the First World War was “forgotten”, we might wonder why has there been a clamour to rectify Irish memory of that conflict, but not that of the American Civil War. We could examine the perceived differences between them, and why both society at large and the State have chosen to privilege one “forgotten” conflict, but not the other. If indeed the First World War was “forgotten”, what can we say with respect to the American Civil War (which by comparative measure, seems to have done considerably worse than being simply “forgotten”)? If there was indeed a systematic attempt to “forget” Irish veterans of the First World War due to their service for Britain, what was the reason behind the “forgetting” of Irish participation in the American Civil War? I pose these questions without offering comment or viewpoint (though I have plenty of both! ), but as a demonstration of how these two comparable conflicts can serve as a vehicle for exploring the historical memory and commemorative culture of the society in which we live from fresh perspectives. One element of First World War remembrance that will require significant attention in the future is the role of the World Wide Web and the explosion in genealogical interest in people’s rediscovery of their military ancestors. This has played a fundamental role in the popularity of First World War commemoration in Ireland. The centenary approached as access to genealogical information became widespread, allowing ordinary people to delve into their family’s past on a mass scale and in ways not possible only a few years previously. This was particularly significant in a country like Ireland, which lacks the annual traditions prevalent in Britain and the United States surrounding the commemoration and celebration of uniformed military service, traditions that (among other things) serve to pass knowledge of a family’s military heritage from one generation to the next. The rediscovery of these historical connections provided a highly personal link for thousands of Irish people to the events of the centenary. The apparent ease with which this information can now be revealed has also likely led to some conflation between forgetting within a family (not unusual after the passage of almost a century, particularly with veterans reluctant to discuss their experiences) and perceptions of a national forgetting. Either way, it is apparent that it was the personal connections that individuals, families and by extension wider communities felt that drove a great portion of First World War remembrance in Ireland. To again employ our comparative framework, the vast majority of Irish who served in the American Civil War had emigrated, never to return to Ireland. Their departures took place just on the wrong side of a genealogical watershed beyond which family history becomes increasingly difficult, meaning that direct personal connections are largely absent. Fundamentally, it has meant they have fewer “champions” for remembrance in Ireland. This in itself raises interesting questions for Irish society, surrounding what we choose to remember and choose to commemorate. Should the prevalence of genealogical connections be a prerequisite for widespread commemoration and remembrance? By extension, should events that are just beyond our immediate genealogical reach, such as The Great Irish Famine, belong to a secondary tier of remembrance? What are the implications for historical memory if genealogical ties of association are overwhelmingly favoured for historical commemoration? Irish society embraced remembrance of the First World War in a remarkable way. Books have been published by the dozen, thousands of talks have been delivered, and amateur, local and professional historians have produced vast quantities of new analysis and research. New exhibitions have been prepared throughout the country, and new digital resources made available online. Universities have run numerous conferences and courses on aspects of the conflict and its impact. A new wave of PhD scholars have expanded and extended our knowledge of the period in innumerable ways. 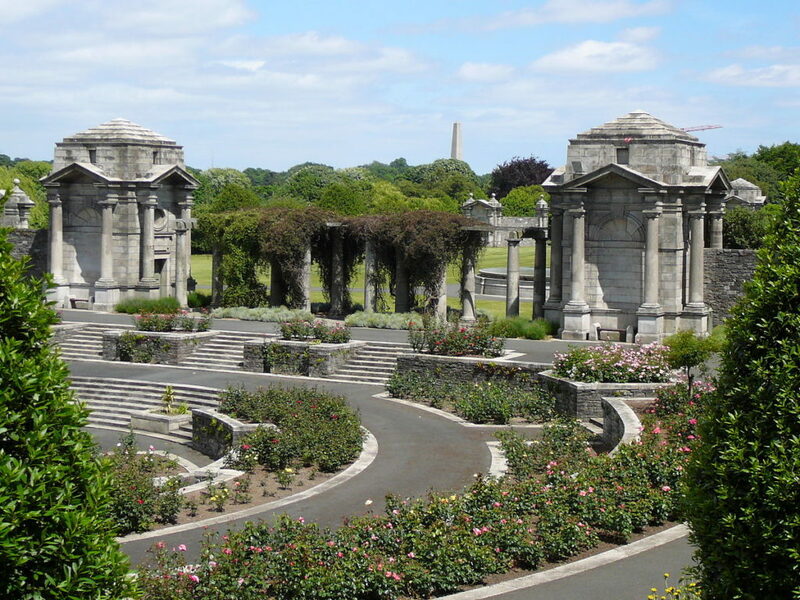 Ireland is in the midst of a memorial boom (something not without its own issues in terms of how we choose to understand and interact with the past) and within that sphere the local First World War memorial has reigned supreme. The clamour for further memorialisation show no signs of abating. Many of the old regimental associations have now been revived, and organisations such as the Western Front Association have become well established. The local and national print media fully embraced the centenary, often publishing multiple articles each week related to the conflict. So too did television and radio, with innumerable programmes covering Irish participation. Whatever the pre-2014 claims of the conflict being “forgotten”, any such claims in 2018 are spurious in the extreme. In stark contrast, the completeness of Irish society’s rejection of remembrance of the Irish of the American Civil War could not be more marked. Although efforts have been made, there has been no groundswell of local interest in remembering the emigrants of the conflict. Local communities (with one exception) have not constructed any memorials to remember those who lost their lives. One temporary library exhibition aside, there have been no major new exhibitions on the island. There has not been a single academic conference (there have been two-day long non academic conferences), and just a couple of Irish PhD’s have taken it as a central theme. Indeed, though there are a number of excellent diaspora historians in Ireland, no permanent academics on the island count the Irish experience of the American Civil War as a primary focus. This has not been without consequence, one of which has been a recent trend towards describing the First World War as unique in scale in Irish history. At a broader level, no association has ever been formed in Ireland to examine Irish participation in the American Civil War. Interestingly, the United Kingdom is home to a long-standing and vibrant Civil War Round Table, despite the disparity between British and Irish participation. In Ireland between 2011 and 2015, not a single television programme or documentary focused on the Irish in the American Civil War (Tile Films did produce Fàg An Bealach/Clear The Way in 2010). The most recent proposal in that sphere was ultimately rejected, as it was felt the topic did not have broad enough appeal when compared with others. Though there have been some radio spots which have looked at the Irish in the war, particularly on RTE’s History Show and to a lesser extent Newstalk’s Talking History, it has not come remotely close to achieving the coverage of the First World War. The reasons for this imbalance are evident. Despite the parallels that we can draw between the two conflagrations, wider Irish society–be it the public, the Universities, or the media, are extremely invested in exploring one, but not very interested in exploring the other. This, of course, is a perfectly reasonable state of affairs. There is no obligation on the part of Irish society to commemorate or remember any particular event or group. However, I would again contend that comparison of how the two conflicts are viewed in Ireland can be profitable; that by seeking to understand why this is the case we can gain deeper insight into what it means for how and what we choose to remember, and to not remember. The State has been an enthusiastic participant in the centenary commemorations in Ireland, and have through their actions (and funding) helped to nurture the interest in the First World War centenary both publicly and academically. There have been numerous State events, speeches and commemorative initiatives. These have been backed with the marking of significant anniversaries by the Government and other agencies, such as the issuance of special stamps by An Post. As with the wider society, there does appear to have been a genuine interest on the part of Government in seeing the colossal scale of Irish involvement appropriately remembered. The centenary also offered contemporary political benefits that were well worth pursuing– an opportunity to continue improving relations with both the Ulster Unionist community and the British state, and a chance to play a role in a major pan-European and (to a lesser degree) pan-Global series of events. Conversely, the Government (and the broader political establishment) consistently rejected any major efforts towards commemoration or remembrance of Irish participation in the American Civil War. This began in 2010, when a request that the flag of the 69th New York, housed in Dáil Éireann, be temporarily brought out of the setting of Parliament to enable more of the public to view it. That request fell on deaf ears. Despite frequent (and in the case of the Taoiseach, annual) visits to the United States between 2011 and 2015, no speech was given by the President or Taoiseach which took the impact of the American Civil War on Irish people as a central (or peripheral) theme. Some speeches were even delivered in locations where Irish troops had been billeted, without making reference to Irish participation. Indeed, it took significant lobbying to have the topic referenced in any speech, though it ultimately was in 2014. Requests that Government mark the 150th commemorations in any wider way were rejected, the official response being that they were the purview of the United States, and not Ireland–a view diametrically opposed to the position the Government was taking at the very same time with respect to the First World War. A further request to the Commemorations Committee for a small amount of funding to hold a conference also failed. So too did a campaign to see An Post issue a commemorative stamp, despite the fact that the anniversary matched the selection criteria. The state did make three noteworthy exceptions. A small Irish Army colour-guard were sent to the 150th anniversary commemorations at Fredericksburg in 2012, the Civil War was the topic of a Department of Foreign Affairs Iveagh House lecture in 2015, and also in 2015 it was decided that a planned statue of Michael Corcoran in Ballymote, Co. Sligo should act as a “national monument” to the Irish of the American Civil War. It was officially unveiled as such by Taoiseach Enda Kenny. Ballymote today contains Ireland’s most significant American Civil War memorial landscape, with the village also home to a 69th New York-9/11 monument. The disparity in the State’s reaction to the two conflicts is intriguing to consider. It is hard to escape a conclusion that the choices–in both instances–were inherently political in nature; that while the First World War commemorations offered political opportunity, those of the American Civil War did not (particularly given the longstanding good relations with the United States). Was this the case, or is it simply another instance of the Government not being particularly interested in remembering that particular cohort of Irish people? Though protests did accompany the dedication of both Ballymote monuments, similar controversy was hardly absent from First World War commemorations. Was the First World War seen a “safe” conflict, and the American Civil War as a “dangerous” one? Perhaps the main driver was a wish to avoid controversy over discussing a Civil War for no apparent gain; perhaps there was a feeling that commemoration was otherwise inappropriate or unnecessary. Regardless, by considering the State responses to both, it raises intriguing questions about the decision making process when it comes to remembrance and memory, and what is and what is not to be commemorated. In some respects, it is the inverse of the discussion surrounding the historic role of the State with respect to the memory of the First World War. The thoughts put forward in this piece are initial reflections on how we might gain broader perspective by looking at the commemoration and memory of the First World War and American Civil War together, as part of a wider framework. Of the two, there can be no doubt that the First World War was by some distance the more significant conflict when it comes to the history of the island of Ireland. It should–and most certainly does–have primacy in terms of remembrance, memory and historic analysis. The supreme importance of the period that is being commemorated during the decade of centenaries fully justifies the major attention it is receiving. However, the American Civil War is the only modern conflict of comparative scale. Yet far from there being a risk that it might receive greater commemorative and memorial attention, it has historically received almost none, a scenario that will likely continue into the future. Considering it in conjunction with memory of the 1914-18 war allows us to consider anew questions that have been asked about the memory and commemoration of that conflict. It also lays bare the disparity in what we choose to remember and what we do not. Ultimately, as I have discussed elsewhere, it is difficult to escape the reality that within the context of Irish history, memory and commemoration, “Irish” generally means “Irish in Ireland”, rather than “Irish”. Perhaps the most fundamental factor in terms of modern Irish remembrance has not been whether or not you served in the British military, but whether or not you emigrated.